Turning seven is an important moment in many children's life journeys. It is the age when you leave kindergarten and start school. Turning seven is an important moment in many children's life journeys. It is the age when you leave kindergarten and start school. It is the age when you leave the protection of your parents and kindergarten teachers and start a new life. How do seven year olds cope? What new ideas will pop up in their minds? What should their parent do? 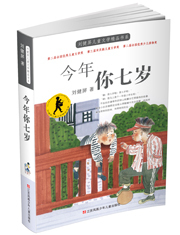 Children's writer Liu Jianping devoted this full-length non-fiction novel to his seven-year-old son. The novel has been adapted into a four-episode TV series which won China's governmental award for excellent TV programs.